Over the years, the engineering team has participated in a whole range of projects. Below are a few examples of realized or ongoing projects, to which the engineering team has made an important contribution. NOMAD is a state-of-the-art spectrometer suite which is measuring the chemical composition of the atmosphere of Mars on-board the Exomars mission that has been launched in March 2016. 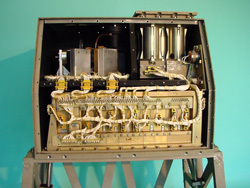 NOMAD is a 3-channel spectrometer. 2 channels work in the infra-red (IR) and build upon the expertise of BIRA-IASB’s successful SOIR (Solar Occultation in the Infra-Red) instrument which is on-board ESA’s Venus Express mission (VEX). NOMAD’s solar occultation channel (SO) is a copy of SOIR/VEX. The Limb, Nadir and Occultation channel (LNO) is an improved version of SOIR, more adapted for fainter light sources as it will not only measure in solar occultation but also in nadir mode, i.e. looking directly at the sunlight reflected from the surface and atmosphere of Mars. The additional UVIS channel will extend the wavelength range from IR to UV and visible wavelengths, giving the SOIR-NOMAD suite access to ozone, sulphuric acid and aerosol studies. 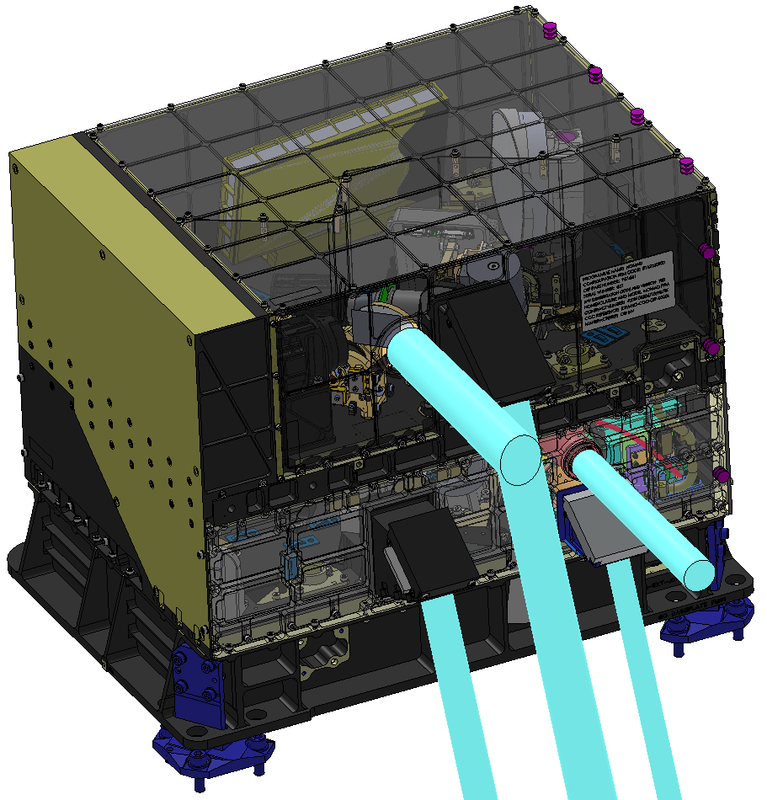 PICASSO is a CubeSat ESA mission initiated by BIRA-IASB. This very low-cost satellite has the ambition to retrieve the ozone distribution in the stratosphere, the temperature profile up to the mesosphere and the electronic density and temperature in the ionosphere. The launch is foreseen in 2017. It will fly for two years in a polar orbit at about 500 km altitude. 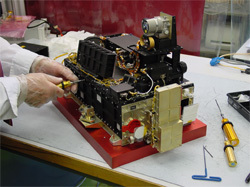 Its payload consists of a miniaturized imaging spectrometer (VISION) and a Sweeping Langmuir Probe (SLP) instrument. The three Dimensional Energetic Electron Spectrometer is a compact and modular instrument developed to measure the high-energy particle fluxes with very good energy, angular and mass resolutions. It is a successor of EPT with additional possibility of measuring in different direction (3D). It measures the energy deposited by charged particles into Panoramic Spectrometer Modules to determine the angular distribution of electrons and protons at up to 6 angles spanning over 180° in a plane. It processes the information to identify the particles and to determine their energy spectra and angular distribution. BIRA-IASB Engineering team contributes mainly to design and manufacturing of structural mechanics. 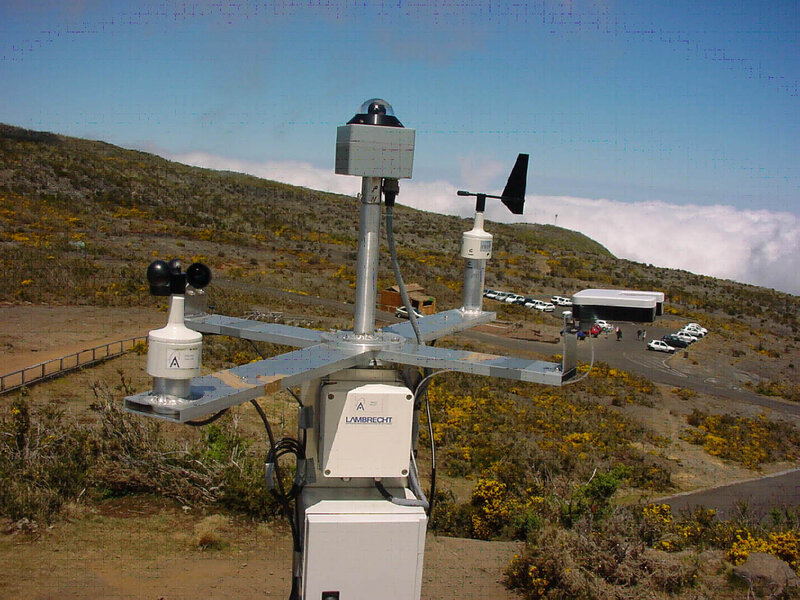 ALTIUS is a UV-Vis-NIR spectro-imager capable of measuring atmospheric concentration profiles of trace gases in the upper atmosphere. It will be embarked aboard a micro-satellite of the PROBA class and will be operated in several observation modes: limb scattering, solar and stellar occultations. The configuration consists of a set of 3 spectral cameras, each being a combination of an AOTF (accousto-optical tunable filter), a 2D detector and the appropriate optics. The Energetic Particle Telescope (EPT) is an instrument developed to measure the high-energy particle fluxes with very good energy, angular and mass resolutions. It measures the energy deposited by charged particles into modular sensitive elements and processes the information to identify the particles (0.2-10 MeV electrons, 4-300 MeV H and 16-1000 MeV He ions) and to determine their energy spectra and angular distribution. SOIR is a compact high-resolution spectrometer developed for ESA’s Venus Express spacecraft. It operates in the IR wavelength range of 2.2 µm to 4.3 µm and uses a novel echelle grating with a groove density of 4 lines/mm in a Littrow configuration, in combination with an IR acousto-optical tunable filter (AOTF) for order sorting and an actively cooled HgCdTe focal plane array of 256 by 320 pixels. It is designed to obtain a spectral sampling interval of 0.1 cm-1. DFMS is one of the three components of ROSINA, on board of Rosetta, ESA’s mission to comet 67P/Churyumov-Gerasimenko. The goal of this mass spectrometer is the measurement of ions and neutrals in the 1 – 100 a.m.u. mass range with a mass resolution of 3000 at 1% peak heights. The sensor has a very wide dynamic range and high sensitivity to cope with the very large differences in ion and neutral gas concentrations. Furthermore, the outflowing cometary gas flow velocities and temperatures can be determined. 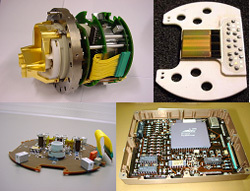 BIRA-IASB developed the 512 anode Linear Electron Detector Array detector assembly and produced the EQM and Flight grade electronic boards. 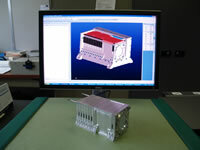 Finally also the DFMS Remote Detector Package (RDP) and Floating Detector Package (FDP-A, B) were designed and tested. 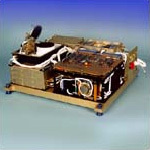 SPICAM is an imaging spectrometer with an ultraviolet (118-320 nm) and infrared (1-1.7 micron) channel. Its goal on board Mars Express is the determination of the atmosphere composition and temperature as a function of altitude. It can measure in three different modes: nadir pointing, stellar or solar occultation and limb pointing. In the nadir mode, the instrument points directly to Mars and measures sunlight after being reflected on the planets surface. During occultation, the instrument measures the light of a star or the Sun across the atmosphere. In case of limb pointing, the sensor points across the atmosphere, but without a star or the Sun being present. It measures the glow given off by the atmosphere. BIRA-IASB was involved in the design and development of hardware and mechanical subunits and testing. 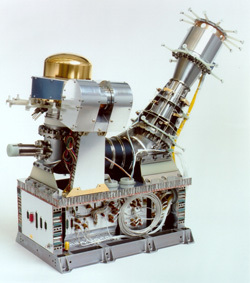 SPICAM-S is a two-channel solar spectrometer. It was placed on the Mars 96 orbiter. 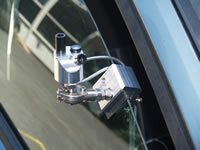 The instrument contains an UV-visible channel (250 – 650 nm) and an IR channel (1.8 – 4.8 micron). Its scientific objectives were the determination of vertical profiles of ozone, water vapor, carbon monoxide, aerosols and temperature in the lower and middle atmosphere of Mars, by means of solar occultation. MAREMF was part of the plasma payload of Mars 96. It combined two fluxgate magnetometers (MAREMF-OS and MAREMF-IS) and a 3D electron spectrometer (MAREMF-ES). The goal of the instrument was the measurement of the magnetic field vector and the three-dimensional distribution of electrons and ions in the plasma environment of Mars and in the solar wind, with high accuracy, reliability and time resolution. BIRA developed the DPU (data processing unit) and the necessary software. They were also involved in the design of electronics for the spectrometer and the Ground Support equipment, testing of MAREMF-ES and scientific processing of the data. 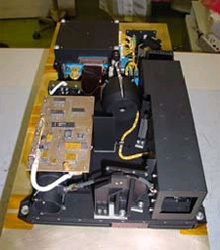 ORA is a radiometer developed to measure ozone, NO2, aerosols and water vapor by means of the occultation technique in the near infrared, visible and near UV part of the solar spectrum. 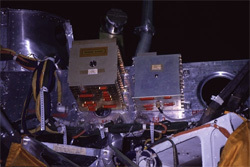 It also contained an infrared module for the measurement of water vapor in the upper atmosphere. It was part of the science panel of EURECA. 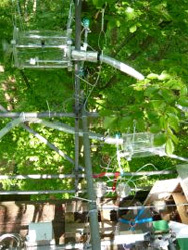 The UV-visible unit contains 8 modules, each dedicated to a different wavelength. 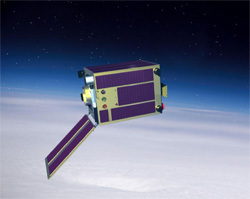 The infrared instrument has 2 optical channels, one for the measurement of water vapor and the other for carbon dioxide. 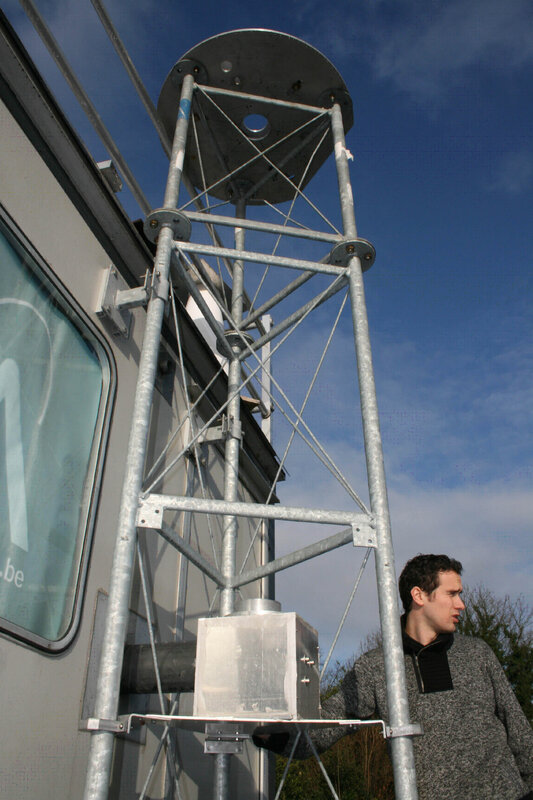 The Belgian Institute for Space Aeronomy was responsible for the mechanical structure and the UV-visible unit. Furthermore, the electronics unit and the associated software were designed and developed entirely by BIRA. Finally, BIRA was also responsible for the qualification of the flight model and the management of the project. Trace gas analysis by Chemical Ionization Mass Spectrometry is the major focus of the BIRA-IASB mass spectrometry group. 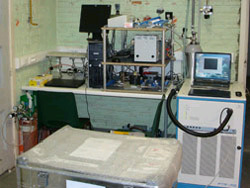 Next to in situ measurements with commercial CIMS instrumentation (PTR-MS), laboratory studies to enhance the selectivity of on-line trace gas detection (mainly of Biogenic Volatile Organic Compounds, BVOC) are performed with Flowing Afterglow – Selected Ion Flow Tube (FA-SIFT) and Flowing Afterglow – Tandem Mass Spectrometry (FA-TMS) instrumentation. The standard FA reactor in the FA-TMS instrument is ideal for laboratory studies but will have to be replaced by a drift tube reactor in order to enhance trace gas detection sensitivity, resulting in a DTR-TMS instrument. The concept of the DTR reactor is similar to the one which is used in standard PTR-MS instruments and consists of a hollow cathode discharge ion source, and intermediate chamber for purification of precursor hydronium ions, and a flow drift tube. The latter is essentially a stack of electrically insulated stainless steel guard rings provided with the necessary ports for gas inlets and pressure measurements. Apart from the design and manufacture of the ion source and drift tube reactor, a special interface between the reactor and a single quadrupole mass spectrometer had to be constructed at the Mechanics workshop in order to test the DTR-reactor extensively before coupling it to the TMS instrument. Forests are important emission sources of Biogenic Volatile Organic Compounds (BVOC). These chemical components play an important role in atmospheric chemistry and have an influence on air pollution. The goal of the IMPECVOC project is the study of the BVOC emissions and the influence of different parameters such as age of the tree, temperature, availability of water, etc. 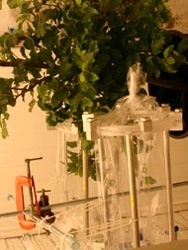 For this research, they use walk-in growth rooms where young trees can be studied in controlled circumstances, but also measurements in forests in the neighborhood of Gent and in Vielsalm are performed. The latter are realized using large towers (height of 50 m in Vielsalm). For the measurements, PTR-MS (proton transfer reaction mass spectrometer) and GC-MS (gas chromatography mass spectrometer) instruments are used. 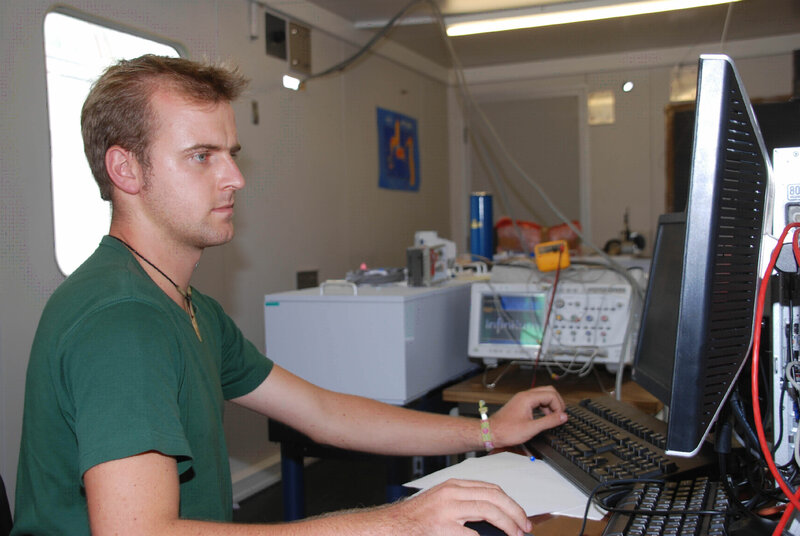 BIRA was responsible for the construction of the measurement cells (fully equipped branch enclosures) and measurement equipment in the towers, as well as for the development of the associated hard- and software for controlling the experiments. 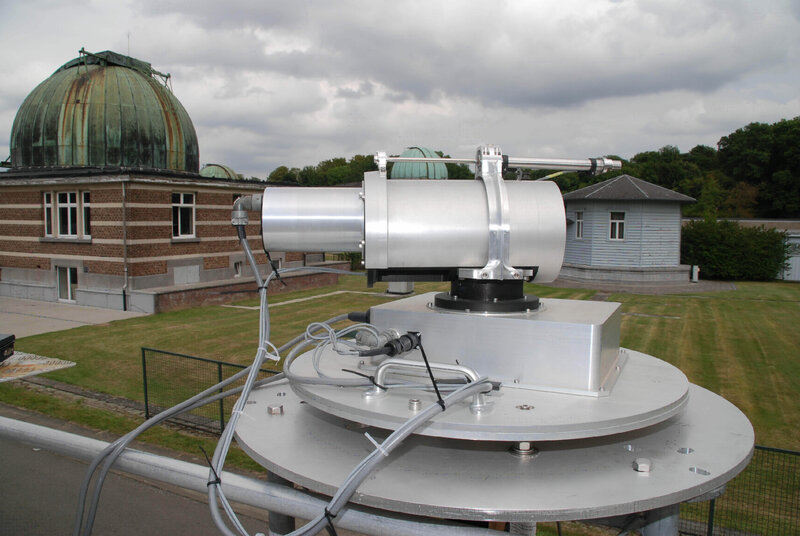 Solar observations using Fourier Transform Infrared (FTIR) spectrometers are frequently used to monitor the chemical composition of the atmosphere. To be able to measure at remote sites that may be difficult to access and to make measurements more cost-effective, it is necessary to run the instrument in a remote-controlled and/or autonomous mode. For this purpose, BARCOS is developed. BARCOS includes a Bruker FTS with a sophisticated solar tracker, a self-contained liquid nitrogen filling system and a versatile meteorological station. The software, written in LABVIEW, enables control of all system components in an integrated way. The whole system is commanded from a single master PC. Although it is designed for automate and remote control, manual operation is also possible thanks to a user-friendly graphical interface. 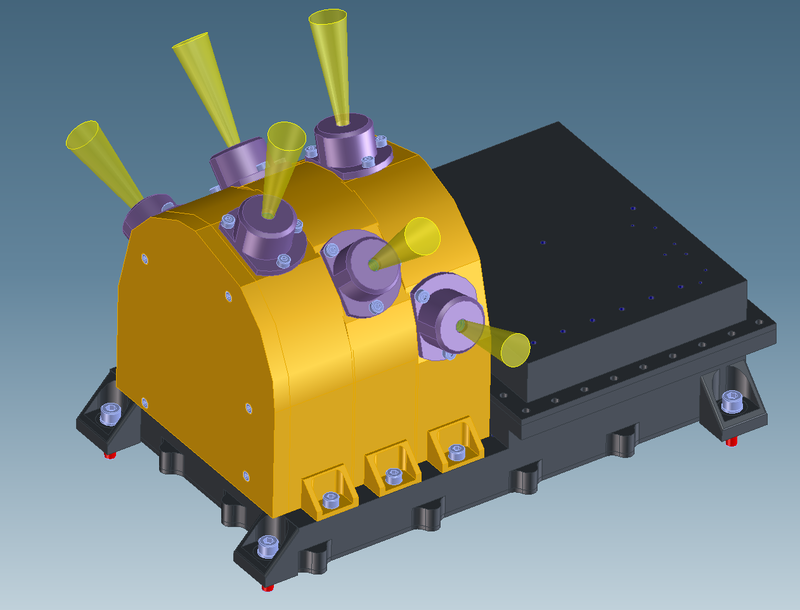 MAXDOAS is a new type of Differential Optical Absorption Spectroscopy (DOAS). Measurements of scattered sun light along different lines of sight are used to retrieve stratospheric and tropospheric trace gas total columns and profiles. The optical head design is such that the telescope can be moved in different elevation and azimuth directions. The radiances are collected by an off-axis parabolic mirror. Finally the optical head also includes a filter wheel. The output of each spectrometer is collected by a CCD detector. The system is thermally regulated by a cooling system. 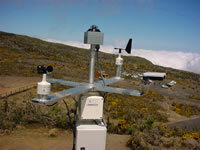 This set-up enables not only scattered light, but also direct-sun measurements. 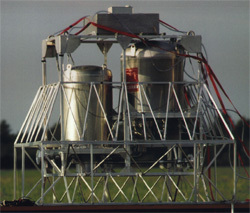 MACSIMS is a balloon borne mass spectrometer using active chemical ionization for in-situ stratospheric trace gas measurements. It was developed in the nineties and used during several successful balloon flights. The instrument contains an active chemical ionization part, an ion transport system and an ion sensor part. The ionization part, developed within the SIDAMS project, implements two ionization techniques: a discharge ion source and a photon-electron ion source. 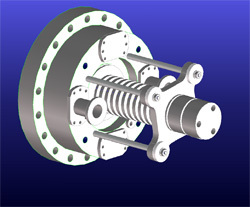 The discharge ion source can switch between different gas flows to produce different ion types. Thanks to the active chemical ionization, not only stratospheric ions, but also neutral compounds can be measured. Furthermore, MACSIMS can detect several ions simultaneously with a good mass resolution and a high sensitivity.